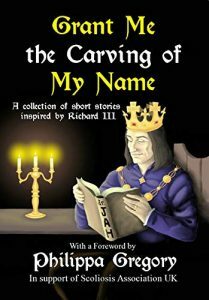 This collection of short stories is now available, raising money for the Scoliosis Association UK and full of wonderful tales of King Richard III. Among the many fantastic stories, Grant Me the Carving of My Name (the title used with permission of the poet who first wrote them, Carole Ann Duffy), are two stories by me – ‘Long Live the King’, a flash fiction about a possible alternative history, and ‘Myth and Man’, where Shakespeare’s Richard meets history’s Richard, at the moment of their making and undoing. I’m delighted to announce that I will be talking to Lucille Hughes on her Readings and Writings show on Inner FM on Wednesday 5 December. Listen to 96.5 Inner FM live here. 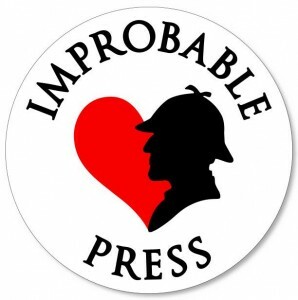 I’m very proud to be included in this collection of stories about Richard III. The subject gives scope to a lot of storytelling approaches – ghost stories and the metaphysical; slices of history from Richard’s first battle or his happier years as Duke of Gloucester; even a little science fiction slips into the mix. The book’s proceeds go to the excellent cause of Scoliosis Association UK, but it stands on its own merits too, as a series of glimpses into Richard’s true history, the history that was written for him by the victors of Bosworth and the new, kinder histories being invented for him by those trying to create a balance between the two. I am so excited to announce that pre-orders are now available for the ebook of Grant Me the Carving of My Name – a book of short stories inspired by Richard III. The book contains two stories by me – ‘Long Live the King’, a flash fiction about a possible alternative history, and ‘Myth and Man’, where Shakespeare’s Richard meets history’s Richard, at the moment of their making and undoing. A paperback is also coming – I’ll update with those details as they become available. An international group of authors who have all been inspired by England’s last Plantagenet King, Richard III, are working together to raise funds in support of Scoliosis Association UK through sales of a collection of their work. Grant Me the Carving of My Name is an anthology of 15 short stories by a dozen authors from the UK, Ireland, the USA and Australia. It takes its title (with her permission) from a poem by poet laureate Carol Ann Duffy which was read by Benedict Cumberbatch at the king’s reburial in Leicester in 2015. The collection also features a Foreword by acclaimed historical novelist Philippa Gregory, author of The White Queen, which was dramatized by the BBC in 2013 and featured a rare positive portrayal of King Richard, by Aneurin Barnard (Dunkirk, War and Peace). As Philippa Gregory states in her Foreword, ‘This collection has come about – as so many good things do – from a dream and a joke’ – when editor Alex Marchant and Wendy Johnson, a key member of the Looking for Richard Project responsible for rediscovering the king’s grave, joked about getting together to publish short stories they had written about this most controversial king. The enthusiasm of the other authors approached to contribute led to the dream becoming a reality. The collected stories offer an alternative view of this often-maligned king and range from glimpses of his childhood and domestic life, through battles and rebellions, to explorations of the afterlife and his historical reputation. By turns elegiac, mystical, brutal, light-hearted, uplifting, there’s something for everyone within these pages. King Richard himself suffered from scoliosis – a lateral curvature of the spine that would have become increasingly disabling and painful as he aged, and was only revealed during examination of his skeleton after his grave was excavated in 2012. Scoliosis Association UK (SAUK) supports children and adults with the same condition throughout the UK today and was the obvious charity to support with proceeds from this book.